- A large influx of casino customers helped Amaya earn more revenue last year, by signing up to new slot sites than in 2014 . 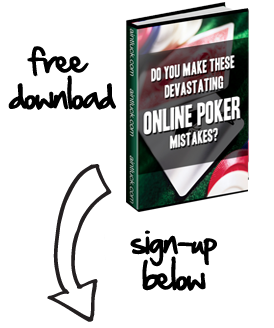 Unfortunately, PokerStars traffic was down, causing a 4% loss here. - Amaya lost money overall in Q4, mainly due to the Canadian dollar’s decline in 2015. However, revenue did increase by 8% when compared to 2014. - Amaya’s debt decreased from US$3.1 billion to $2.6 billion. One more interesting takeaway from Amaya’s Q4 meeting is that they earned $8.7 million solely due to removing the Supernova Elite VIP level. This of course caused a huge problem among high-volume grinders, who, as we discussed before, went on strike in protest. The bad thing for these same players is that Amaya brought in more revenue thanks to the VIP program restructuring. Recreational players should be happy, though, because PokerStars still plans on spreading this money around in the form of more rewards/promotions for them. Amaya’s takeover of PokerStars, which happened in the summer of 2014, hasn’t been a widespread success yet. In fact, the company’s CEO, David Baazov, is now trying to buy the company for less than it was once worth and make it private. But thanks to the gaming expansion that Amaya has initiated, which involves adding an online casino and sportsbook, there’s still hope for the company’s future growth. As for online poker, PokerStars is averaging 15,500 cash-game players every hour (according to PokerScout), which is right around where they were last year. The key to growth here will be continuing to make recreational players happy through bigger promotions and more rewards.